After many years in the industry Evolution Shotcrete have become specialists in the application of shotcrete for engineering related fields, such as slope stabilisation, drainage, tunnels, dam spill way and foundation construction. In residential works, Evolution Shotcrete has become a leader in shotcrete application for the construction of swimming pools, retaining walls, water tanks, ponds and concrete slabs. Evolution Shotcrete carries full liability insurance and works within strict health & safety standards. We are honest and respectful of our clients and we adhere to all current environmental management practices and strive to minimise waste across all of our operations. Evolution Shotcrete’s team of technical experts and engineers have extensive experience in concrete application and maintenance. Within our scope of service we have a mobile fleet of crews who utilise the very latest technology and equipment and we guarantee comprehensive consultation on all aspects of Civil and Geotechnical engineering. The practice of Shotcrete (previously known as gunite) is the new generation of concrete application technology. Using a hose capable of projecting wet mix concrete at high velocity onto a multitude of surfaces evenly and compacted is the easiest, fastest and most economic way to apply concrete. 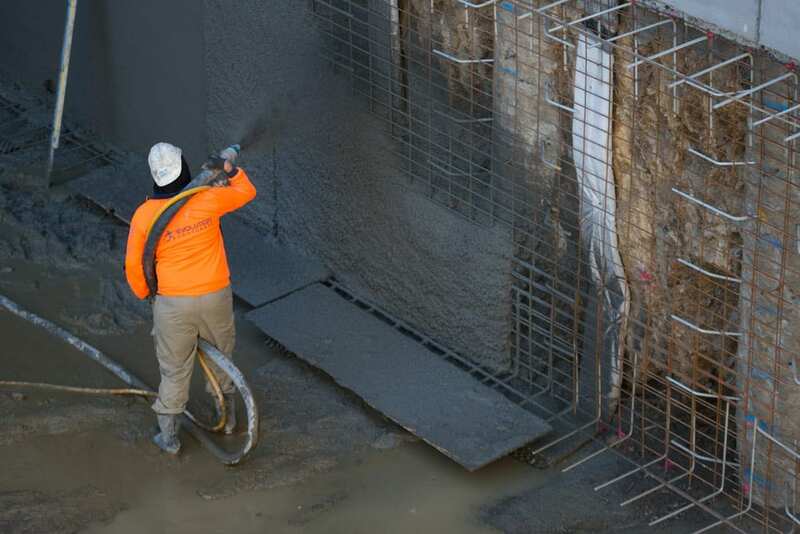 Unlike traditional methods of concrete application, shotcrete can be applied to any surface shape and can be done so both vertically and on overhead areas – allowing application from high-rise construction to long distance tunnels. Evolution Shotcrete have the very best in shotcrete equipment and expertly trained shotcrete workers and engineers. We supply the civil, mining, energy and resource sectors with cost effective asset maintenance solutions within strict time and quality constraints. 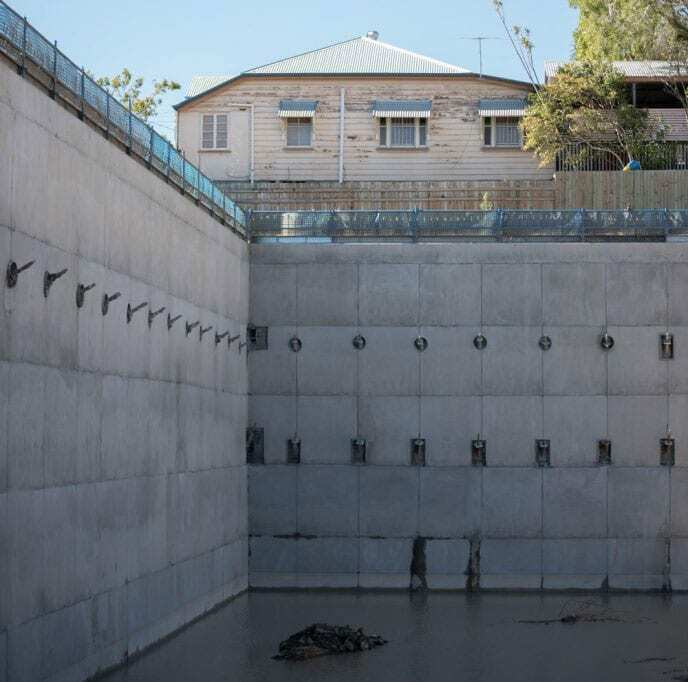 Shotcrete is a cost effective solution due to advantages in application and durability and therefore no requirement for ongoing maintenance costs. Evolution Shotcrete has completed thousands of square metres of shotcrete slopes and walling in the commercial and civil sectors. Often, these projects involve difficult working situations, tight deadlines, strict compliance with health and safety standards and extensive environmental and waste management considerations. We have delivered large scale projects across a number of sectors including gas, energy, mining and rail. Our team has vast experience in commercial building projects and can advise you on selecting the best construction materials for a particular project. We can also undertake soil and rock testing and provide guidance on embankment construction. We work closely with other construction companies to ensure that projects are of the highest quality, all health and safety procedures are adhered to and that the project is completed on time. WE DELIVER A PRODUCT THAT EXCEEDS OUR CLIENTS’ EXPECTATIONS IN QUALITY, DURABILITY AND SAFETY. 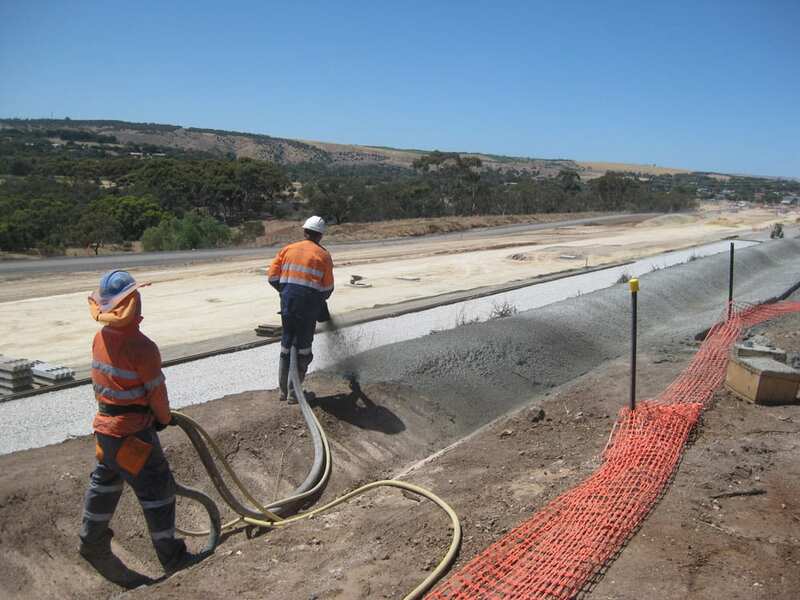 We have experience delivering large and complex projects throughout Australia including: Rail extension (Seaford, QLD) / Toowoomba Range retention work (Toowoomba, QLD) / Wivenhoe dam batter protection and road upgrades. (Burpengary QLD). These projects have required working closely with experts in excavation, drilling, soil, nails and anchoring. Often commercial projects have strict budgets and deadlines and at Evolution we take these project requirements very seriously. Anchors are often required for stability within concrete structures such as: slopes, excavation walling, embankments, retaining and shoring systems and other geotechnical and construction applications. Evolution’s team is highly experienced installing anchors in the correct way and across a multitude of various concrete structures. Our team of in-house engineers can also advise on projects that will require anchors and to what extent for optimum safety and stability. A ground anchor is a device used to support structures such as slopes, excavation walling, embankments, retaining and shoring systems and other geotechnical and construction applications. These anchors are installed in the ground either temporarily or permanently and for either lateral or vertical support. The success of an anchor installation depends on proper drilling equipment, an experienced design, correct installation methods and performing load/stress tests. Our team at Evolution Shotcrete are highly experienced in installing and testing ground anchors and are confident that our testing allows no room for error. No project is too big or too small. 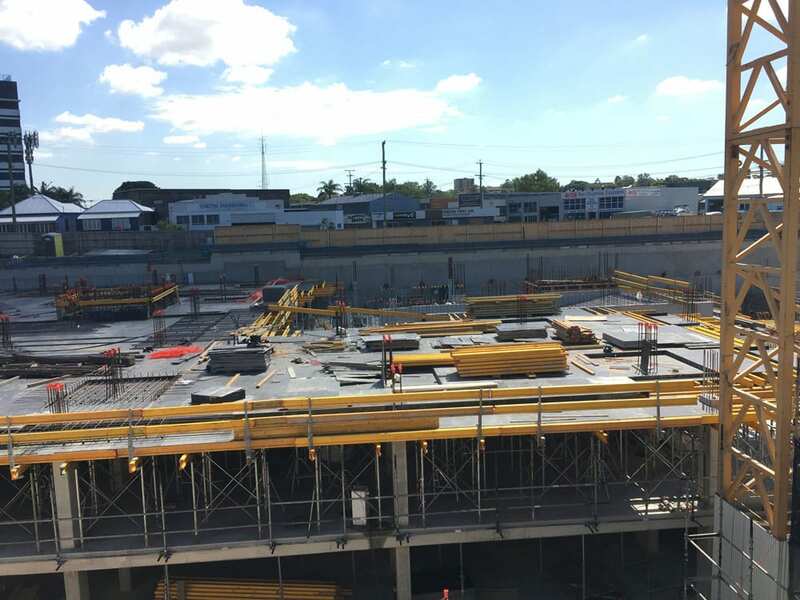 Evolution Shotcrete has provided private residential concrete applications services throughout Australia such as home foundation, basement construction, pool building, retaining walls and complex land stabilisation works, providing our clients with quality and ‘peace of mind’ solutions. 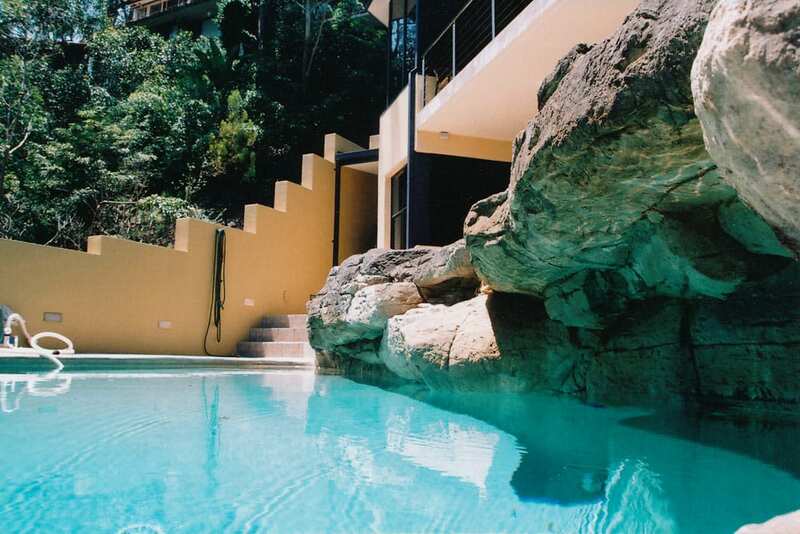 Evolution has been working in the Australian residential market, building high-grade home foundations, basements, retaining walls and pools with custom rock simulations. Often we find that homeowners associate conventional concrete blocking and poured cement with smaller scale cement projects. Our aim is to re-educate the market by the communicating that shotcrete is not only great for large scale and industrial projects but also the most economical and efficient way to complete smaller scale jobs and with a higher quality result.